Honestly, great interview. Must have been a pleasure. Johnson was a major part of why I loved that show and he succeeded. 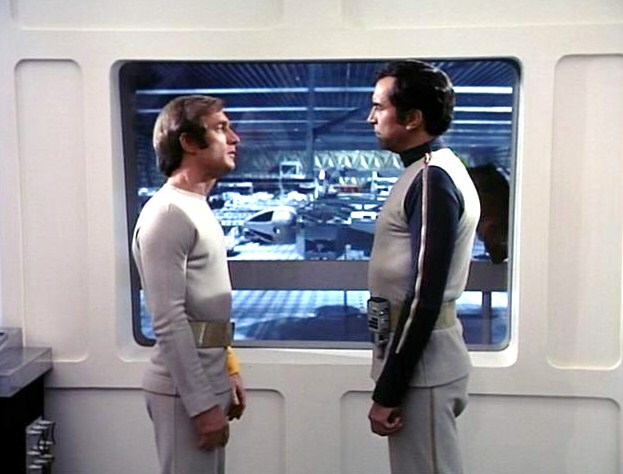 Space:1999 remains, possibly right behind Star Trek: TOS, the most influential science fiction series on my existence. While I certainly would be open to seeing how Mr. Johnson would do things differently, personally, I wouldn't change a thing about the series especially those Eagles. I loved the real world thinking he placed into those Eagles with the modular designs. His assessment on the premise of the show was interesting and certainly not unfair. His comment about the Maya character is interesting too. It's funny, no matter how much slagging Series 2 receives and no matter how much grief it gets for the Maya character, Catherine always gets the praise and its a testament to her and to those who cast her. Brilliant move really. I hope all is going well my friend. Thanks for revisiting this. I missed this one. 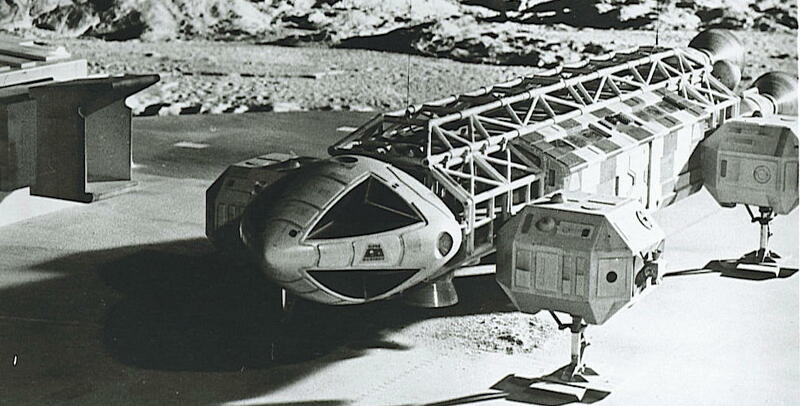 Brian Johnson is a great talent and his work on Space:1999 is amazing. For me, Space:1999 is also amazingly influential to my thinking in terms of sci-fi programs and visualizations. I also think that Christopher Penfold, Johnny Byrne and the other writers were -- more often than not -- able to take the "weakness" of the general format and "turn it into a strength," as Johnny Byrne often said. I agree with you as well that Catherine Schell really added a lot to Year 2 of Space:1999. No matter how much people seem to dislike that span of episodes, praise for Catherine Schell appears universal! I appreciate Johnson's honesty about the flawed premise for the series. If Gerry Anderson had put more thought into it, the series might have lasted longer with different premise. Johnson's suggestion of an 'asteroid mining company' sounds a bit like Space Academy with it's traveling asteroid base. The 'wire threshold' issue is another matter. Too many times black wires are visible supporting the models (and destroying any illusion of reality). I think Johnson's sfx team might often have skipped using a technique Derek Meddings used on earlier Anderson series. Meddings applied spray adhesive to his model's wires to which pigment (mostly blue) was blown on to match the sky background. It was generally a very successful technique in Thunderbirds, but it did have a drawback- the models often were dirtied by the blown on pigment (and needed to be cleaned). If this technique were to be used on those white Eagle models,it would be a pain to clean the models. From the 'behind the scenes' efx footage on the Space:1999 DVDs, it appears that the efx crew was mostly worried about the wires being shiny. The 'in camera' effects did lead to beautiful crisp picture quality unlike the often grainy Star Trek effects. 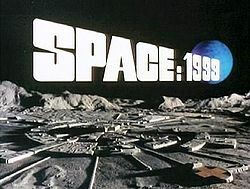 Some critics complained about the twinkling stars seen in Space:1999...I guess it made the space scenes more lively!